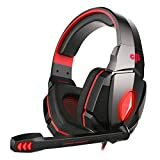 Top 10 Best Gaming Headphones in India 2019 - Top 10 In India - Only The Best of everything! LATEST product list, updates regularly! Gaming headphones do more than just deliver good sound, they make the game come alive for gamers. 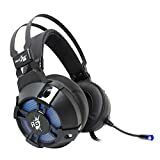 There are many great gaming headphones and each one has specialties. 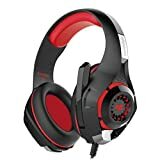 This list of the Top 10 Best gaming Headphones in India feature some deadly models, including the Readgear Hell series of headphones. These are the top bestselling gaming headphones in India and each one will be a great choice for you. Go ahead, and pick from India's best gaming headphones. 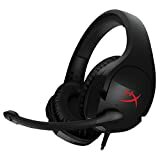 The Redgear Hellfury 7.1 is a high quality professional gaming headphone with 7.1 channel surround sound. It features a retractable headphone and has an in-line controller. It also features LED illumination. These over the ear gaming headphones look really cool and equally good performance. The high quality ear muffs are made from special skin-friendly and super soft leather like material. It comes with a 2.2 meter cable and the speakre diameter is 50 mm. It's 7.1 channel speaker lets you hear sounds coming from all directions adding to the effect of gaming. The headband also has different levels to bring a good fit to any gamer. 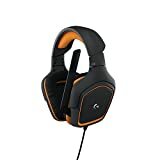 This headphone is featured in the Top 10 Best Gaming Headphones list below.